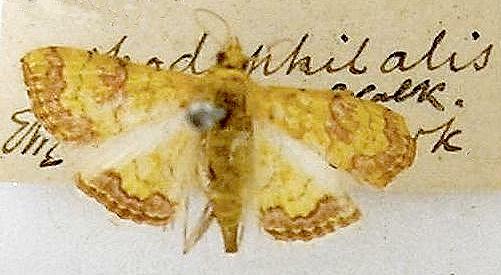 The adult moths of this species are yellow with various markings including broad brown patterned margins, and a complex brown mark by the costa of each forewing. 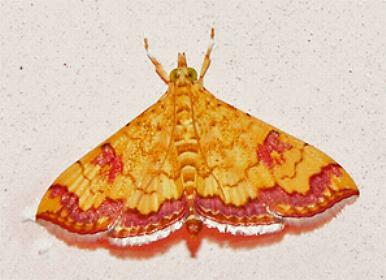 The moths have a wingspan of about 2 cms. Melbourne University Press, 1990, pl. 9.42, p. 356. Volume 9, Part 8 (1854), p. 204, No. 156. LeapFrogOz, Kuranda, 2015, p. 40.